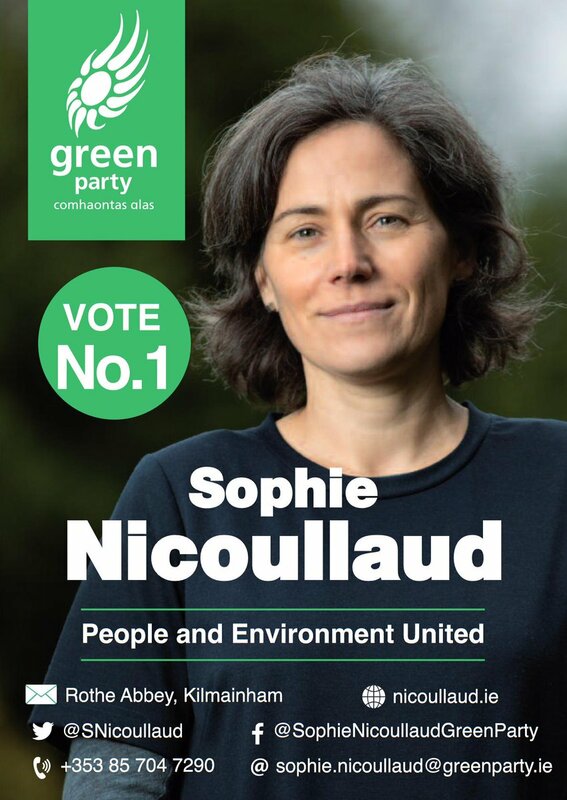 A very unusual piece of Election Ephemera here…. 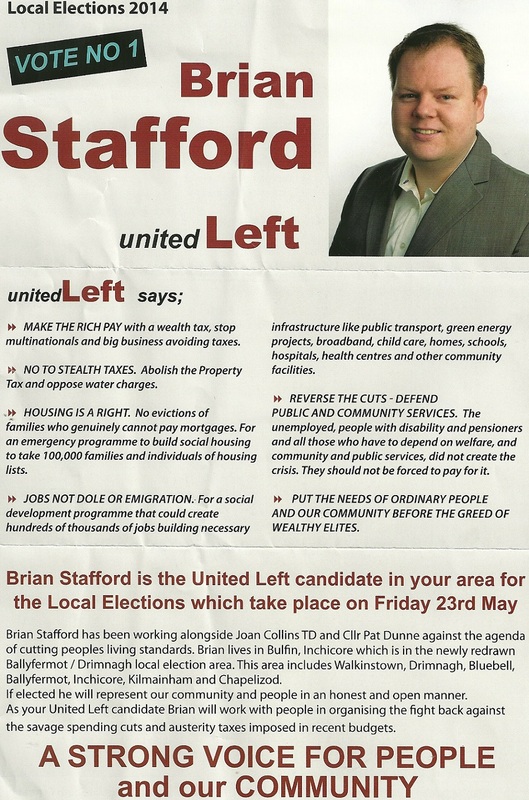 These designs along with a card and a handwritten note “Running in Local Election on Job Creation” were dropped in doors by Independent Noel Bennett who was running in Ballyfermot Drimnagh for a seat on Dublin City Council. He polled 102 votes. 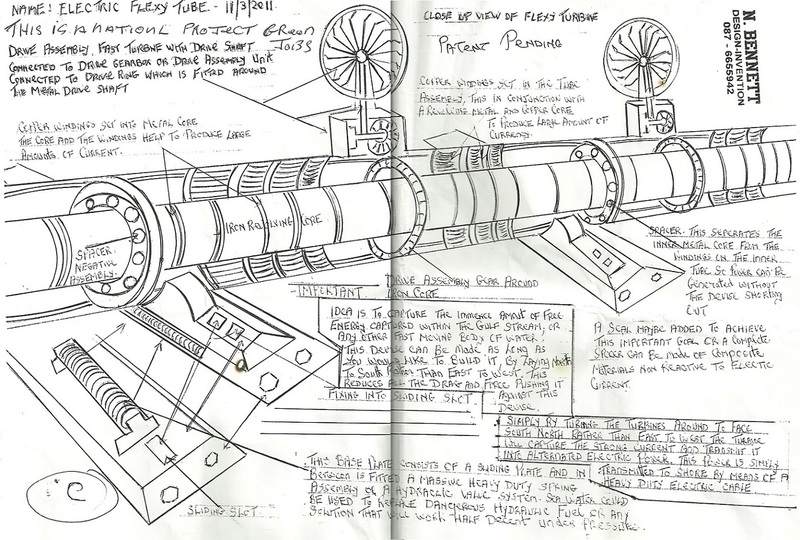 Many thanks to the person who rescued this fairly unique Election Ephemera from a friends fireplace. 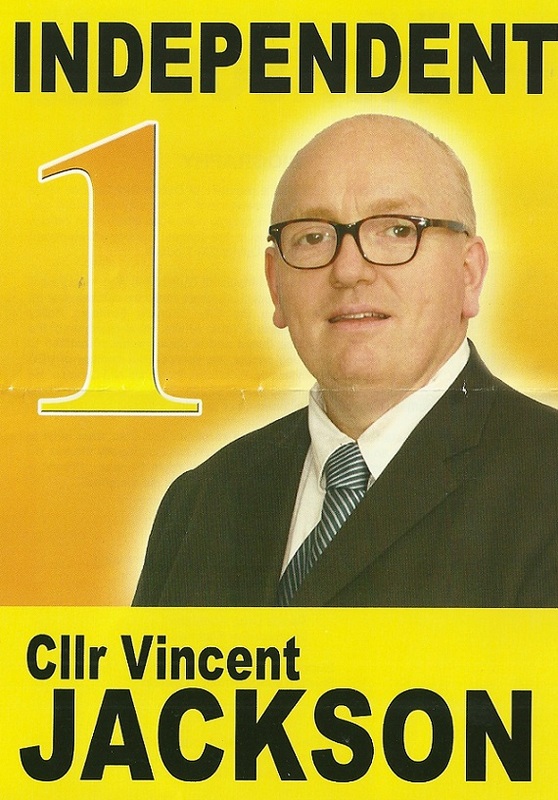 A leaflet from Independent candidate and former Lord Mayor, Vincent Jackson who is running in Ballyfermot Drimnagh for a seat on Dublin City Council. 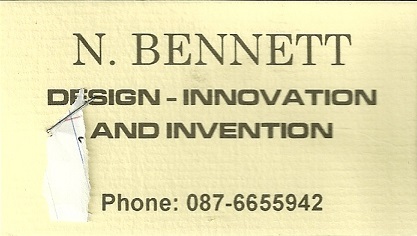 He was formerly known as Vincent Ballyfermot Jackson. 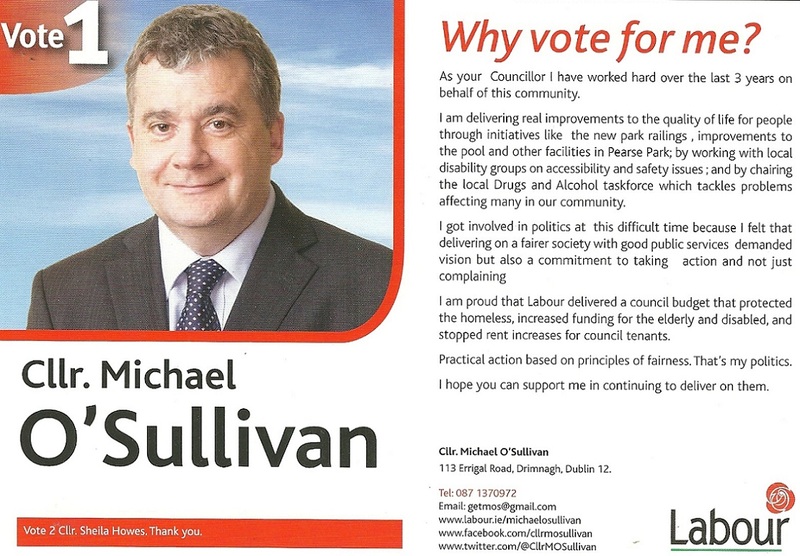 A flyer from Councillor Michael O’Sulliavn who is running for Labour in Ballyfermot Drimnagh to retain his seat on Dublin City Council. 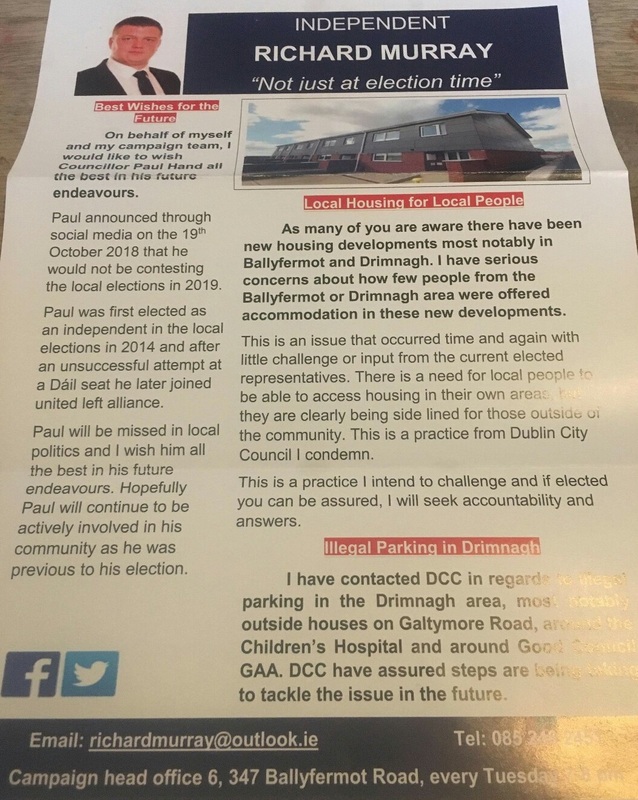 A leaflet from Greg Kelly who is running for Sinn Fein in Ballyfermot Drimnagh along with running mate Daithi Doolan for a seat on Dublin city Council.